This listing is for 10 Owl Soap Party Favors with your custom scent and color perfect for baby showers, bridal showers, birthdays, weddings and more!. 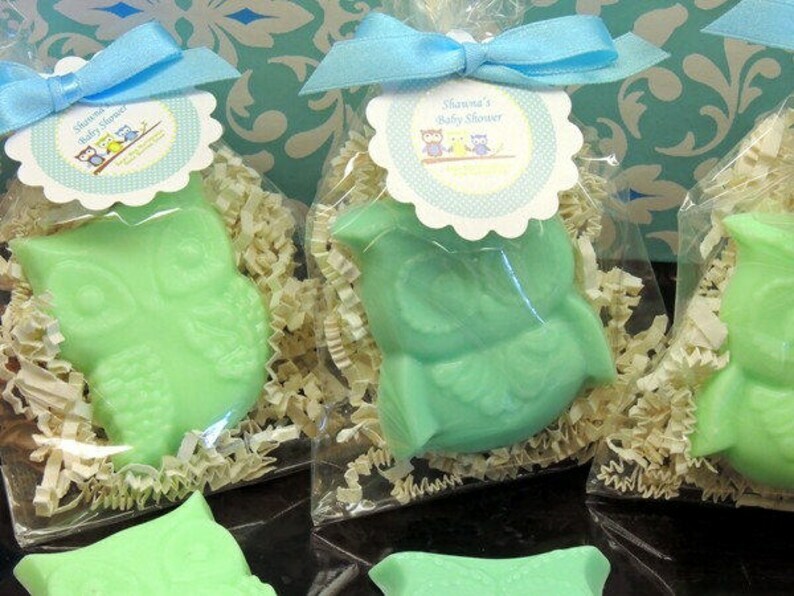 Each favor includes one owl soap (choice of Owliver (boy owl), Owlivia (girl owl), or mix and we'll include an equal number of both owls. Each Soap measures apx. 2 1/2" tall and 2" wide and 1/4" thick. 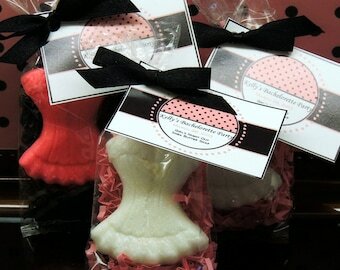 Not only do these look adorable, but each soap is made from our luscious lather shea butter moisturizing soap base and will leave you skin soft and mositurized. Very pleased with purchase. Great communication and received soaps well ahead of the event date. I highly recommend.